A client whose policy was avoided because he did not disclose health issues is a reminder to advisers that completing insurance applications on behalf of clients can be risky, the Insurance and Financial Services Ombudsman says. The IFSO scheme received 10 complaints and 73 inquiries about advisers last year. Ombudsman Karen Stevens said there had been a general increase in the number of complaints. But some could be avoided. “Filling out application forms on behalf of clients is a reasonably common practice, and it is a known risk,” she said. In a recent case a financial adviser completed a life and trauma insurance application form for her client. Later, after a heart procedure, his trauma claim was not only declined, but his policy was also avoided because he hadn’t disclosed a number of health issues. He complained and said she should pay the value of his trauma cover ($80,000). He said she hadn’t explained the need to disclose all of his medical symptoms, appointments and diagnoses. He thought the insurer would obtain all of his medical notes, as a matter of course, but was wrong in his assumption. 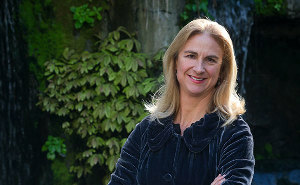 Non-disclosure was a common theme in complaints to the IFSO Scheme, and financial advisers had a key role in educating clients, Stevens said. “Most clients will not understand their duty to disclose, or the meaning of material information and, importantly, they won’t understand the consequences of failing to disclose, which can be devastating. Totally agree and especially applies to health declarations, as well as financial statements. Advisers can never presume that insurers will get an Applicant's medical notes. They may only ask for the last 5 years; there can be earlier medical issues that must be disclosed. Furthermore, Advisers must help clients understand the true extent of health questions, as well as Duty of Disclosure. How many advisers understand that for disclosure and application purposes they are the agent of the insurer under the life insurance Act. If a client tells them something it is like telling the insurer and the adviser is duty bound by law to pass that information on to the insurer. I have heard of cases where advisers have been sued by insurers where they did not pass on information relating to non-disclosure. also, if the adviser completes (ie. writes the information) the application form on behalf of his/her client, he/she no longer represents the insurer but represents the client. any knowledge he/she has about the client is not imputed to the insurer, hence the insurer is not liable. the client can sue the adviser for claim declined due to the adviser not disclosing the necessary information. and yes, i have heard of advisers who tell clients not to disclose certain information as it may "jeopardise" their application - very very bad practice, thinks only of his/her commission. further to my earlier comment, advisers have to realise that their role is that of a primary underwriter NOT just an insurance salesman or adviser. i should add to my first comment - this is NOT an advice and i stand corrected on the law relating to this issue. im not advocating completing as application for a client at all but can someone tell me how that is different from using an e-app? not in the client's hand writing. a client can deny completing it. say they told the adviser to put a medical condition in. they can be sent a copy just like they could if an adviser completing the applciation. so whats the difference between the two? I wont do e-apps for this reason. Concerned adviser raises a very valid point that makes the whole article moot. The harsh reality is the quality of the adviser and the advice directly correlates with the outcome of the claim and the subsequent complaints. The completing of the application on behalf of a client isn't in and of itself a problem, the robustness of the advice and the process around this is. If you complete the application for the client and don't provide the client with a copy to review with add reinforcement of the disclosure requirements, you are setting yourself up for a complaint and prosecution when you have a declined claim. Add electronic applications to the pile and frankly the adviser is creating significant risk to them and their business in the interests of speedy turn arounds. One insurer who has had an electronic application in the market for a number of years has reported their non-disclosure claim decline stats have doubled in the last 12 months. They seem not to understand exactly why. I propose, based on my own experience with clients claims who have previously applied for cover with electronic application systems, that the reason for the bump in no-disclosure declines at claim is due to the application process. Pen and paper has proven time and time again to provide better disclosure and outcomes. I don't and will not use e-apps for this reason. 1. the adviser is the one who completes the e-app, hence deem to represent the client. of course the adviser can give client a copy of the e-app. but then so can you give client a copy of the hard copy application - personally, i see no difference. 2. therefore, if the adviser is aware of his/her client's certain medical condition or hazardous pursuit which is not disclosed, it is the duty of the adviser to make the insurer aware of that information regardless you are representing the client or insurer. this is because if the adviser don't pass on the information and a claim dispute arises, the adviser may either be sued by the insurer (if liable to the claim) or the client (whose claim was declined). my understanding is that it doesn't mean that if your client completes the application and left out an important information in which you are aware of, you, as an adviser, are not liable. that's why the adviser is the primary underwriter. they key point is this - is the adviser aware of any information not disclosed by the client, which if disclosed, will alter the underwriting decision of the insurer? hope that helps. will be great if we hear from some insurance legal expert. It worries me when I read responses from Advisers who have obviously been in the Industry for sometime and they start waffling about whom the Broker is an agent for. Every Broker has a clear fiduciary duty to disclose ALL information disclosed to them by the client to the Insurer. They also have a duty to clearly explain the consequences to the client of non disclosure regardless as to whether intentional or non intentional. The Broker also has a duty to the client to get the best possible terms they can for that client; that does NOT however mean removing any information. 1/ I try to complete every application form. That way I control the interview and the process, so often I have seen clients tick "No" before they have even read the question. 2/Any client who attempts to answer a question before I have finished asking it finds me stopping and starting the question at the beginning again. 3/ ANY hesitation in answers is queried. 4/ Everything they say goes on the proposal. many a time I have been told "its ridiculous". I explain once again why it is so important. 5/ On a couple of occasions I have walked from a client not taking the process seriously. 6/ Afterwards I turn the proposal over to the client and ask that they read everything I have written and to alter any answer they wish to. 8/ I send them a letter once again explaining their duties of disclosure and a copy of the proposal form I have sent to the Insurer. I ask them to make any amendments or additions within a period of two weeks. 9/ Attached to the letter is a copy of the leaflet "What I should Tell My Insurer"; the letter specifically makes reference to its addition. By no stretch of the imagination do I believe this to be foolproof and I back this up with file notes etc placed on the clients file; these file notes will be about any aspect noteworthy whether that be with the client or the underwriter. I have also said to every underwriter if you want more information, tell me what questions you want answered and I will ask them; I encourage them to ask for a PMAR if any doubts are there. We ALL have one opportunity of getting this part of the process right; it needs the utmost input by all concerned. Sounds a thorough process. If you ever get into trouble with that approach, God help the ordinary adviser! But I have to quibble about your calling the duty of the agent/broker to the underwriter a "fiduciary" duty. A duty yes but a fiduciary duty no. One of my pet hates is the way advisers throw around the term fiduciary. At law it has special meaning, and it carries with it onerous obligations. There are some relationships where the law determines a fiduciary relationship based on "status' - e.g lawyer - client, doctor -patient. But I have never seen financial adviser - client or financial adviser - product manufacturer in that list. Now I am not accusing you GPT of this (I don't know you at all) but many times I think advisers throw in the term "fiduciary" for their own marketing purposes - to make them seem more important than they really are. Advisers and their associations should IMO be very very wary about wanting to have all advisers considered to be fiduciaries. If I am wrong in this, I invite legal people [some of whom must read GR] to put the record straight. Strictly speaking you are right and my use of the words "fiduciary duty" is incorrect. I have, as a Broker, a duty to both the client and the Insurer to Act truthfully and fully disclosing all information divulged to me by the client. 1/ Losing my agency with the Insurer. 3/ Falling foul to a complaint laid with my Disputes Resolution Company who can impose a legally binding financial obligation upon me for failing to carry out my duties. I would suggest to you that the final point to all intents and purposes is a Fiduciary Duty, that is, it is a legal obligation of one party to act in the best interest of another. I see little point in arguing over the wording. What I would like to see is the whole process tightened to make it an obligation for all Brokers/Agents to have a duty of care and to look after the interests of the client AND the Insurer above their own at all times (in the case of the Insurer I mean when divulging Medical/Financial underwriting information). I would like to add that I have NEVER used the term "fiduciary duty" in any marketing material. I do not think I have even used it once in a letter to a client in the last 26 years (I may possibly be wrong, I have written thousands of letters in that time). No the final point (#3) is not "to all intents and purpose" a fiduciary duty as that term is used in the law. Also, nowhere in the current law is there a "best interests" duty. All financial advisers, when providing a financial adviser service, must exercise the care, diligence, and skill that a reasonable financial adviser would exercise in the same circumstances. AFAs (Code) have an obligation to "put the interests of the client first". All advisers in the new world will have a statutory duty to "give priority to the interests of the client". @BGW Thanks for the comment. Some things that I learnt during law lectures at Otago in the early 70's have stuck even though I chose economics over the law.